The quintessential ?basket cheese?, Los Altos Queso Panela is a fresh, semi-soft cheese made from whole unmilled cheese curds. Its springy and rubberlike texture is mild and neutral in flavor with slight undertones of straw which leads to an astounding crispness in mouth feel. 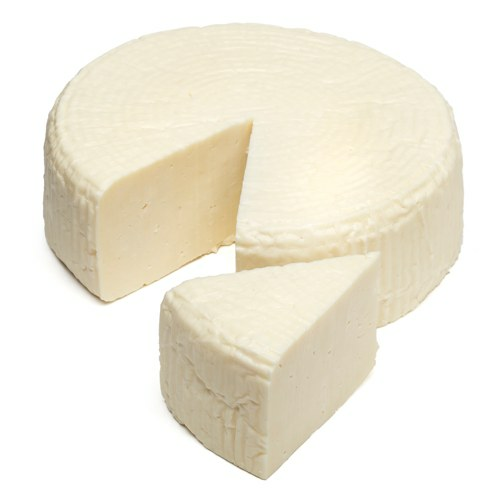 Los Altos Queso Panela is great eaten alone or as a component in many soups and salads. El Queso Panela marca Los Altos es bajo en grasa, semi blando y hecho de cuajadas enteras de queso. Estas cuajadas son colocadas enmoldes que le dan una forma y textura distintiva. 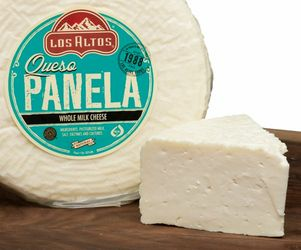 El Queso Panela se puedecomer en sandwiches, tortas, ensaladas, en sopa de tortilla o simplementecomo un aperitivo. Este queso no se derrite y puede humedecerse al serexpuesto al calor. Los quesos Mexicanos Los Altos los empacamos en MexGrocer.com con los materiales necesarios para que se conserven frios durante su traslado y lleguen a tu puerta listos para comer, refrigerar o congelar. Disfruta en tu casa o restaurante la calidad y sabor ?nico del aut?ntico queso Mexicano. I love this cheese and have not had it for a long time due to the unavailabiltiy here in southern Indiana, but it is great to be able to order it from Mexgocer.com. It brings back old memories when our Mom would make pinto beans and we would eat them with Panela and warm corn toritas. ConsA little high in cost. We used it for Chile Rellenos and it was perfect!! Slice it, cube it, grill it. It's light and versatile and there's something about the texture that I just love. Got to try it! I highly recommend this cheese in every form and specially when it's grilled. It's very moist and it has a slightly chewy consistency that keeps it all together when you grill it. It's very light and fresh and very Mexican. I'm so glad I can get this cheese through MexGrocer because it's not commonly sold in stores. This cheese brings me back home, where I would accompany it with a nice Tequila and guacamole. I love traditional flavors, but I like watching what I eat. Panela is my favorite because it is low fat. I can eat it alone as a snack, but I also like adding it into salads or searing it on the grill. Since the taste is mild and the texture is soft, you can also slice it and put it in sandwiches. 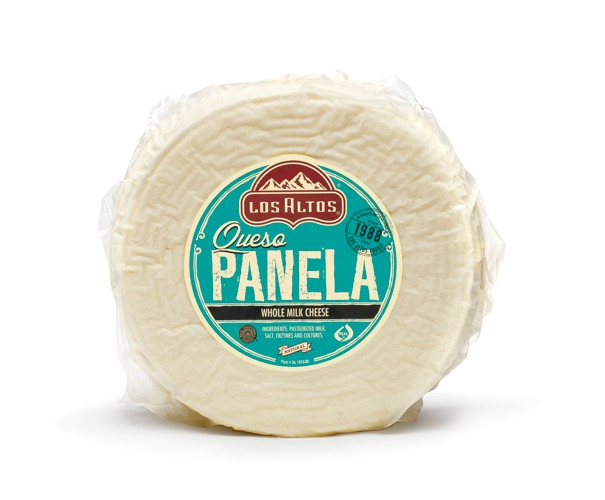 With Panela, you get to keep the cheese but lose the fat.